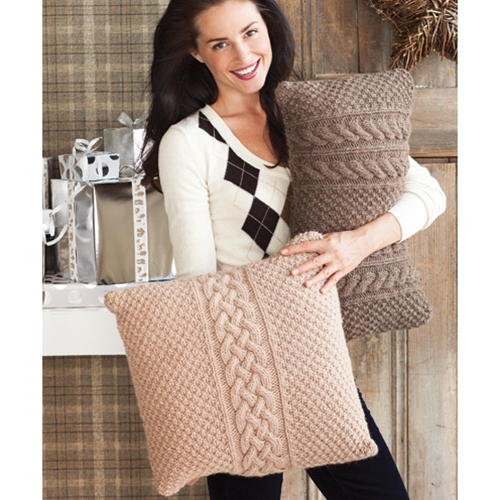 Two varieties of pillow covers—one square, one rectangular—mirror the double seed stitch/cable scheme on the snowy afghan. The backs of both shams secure over a pillow with overlapping ribbed button closures. 14 sts and 28 rows to 4"/10cm over double seed st using size 101⁄2 (6.5mm) needles.